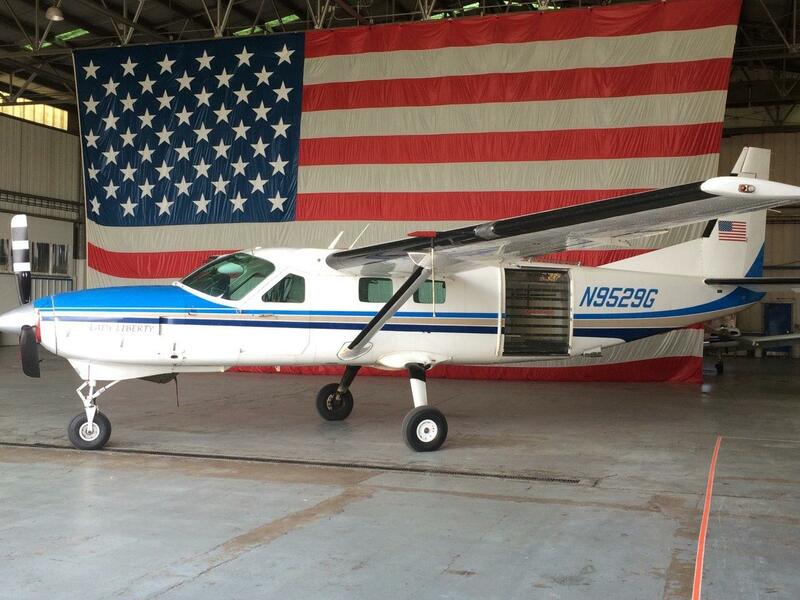 Tail number N208HF is our Cessna 208B Caravan. Patriot One is powered by a 675hp Pratt Whitney turbine engine and is capable of flying cross country. 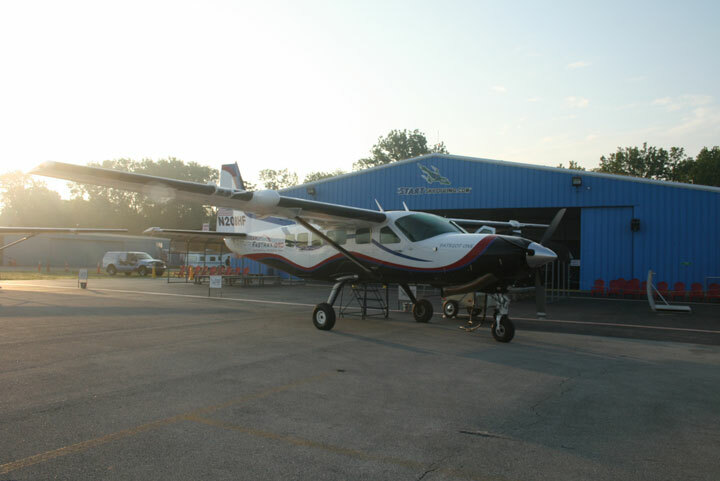 This skydiving aircraft has the latest in avionics and has the ability to carry 13 demonstrators to 14,000′. Patriot One has flown over the City of Philadelphia where the team landed in front of Independence Hall. It routinely participates on humanitarian missions carrying wounded warriors and their families across America. Patriot One is the flagship of our fleet. Tail number N9529G is our Cessna 208 Grand Caravan. Lady Liberty is powered by a 675hp Pratt Whitney turbine engine and is capable of flying cross country. This skydiving aircraft has the ability to carry 17 demonstrators to 14,000′. Lady Liberty has flown over New York City and was given her name after the jump performed over the Statue of Liberty. Lady Liberty has also flown on several humanitarian missions to Haiti after the massive earthquake delivering much needed medical supplies. Tail number N442SS is our Cessna 206. Freedom is powered by a 285hp Continental engine and is capable of flying cross country. 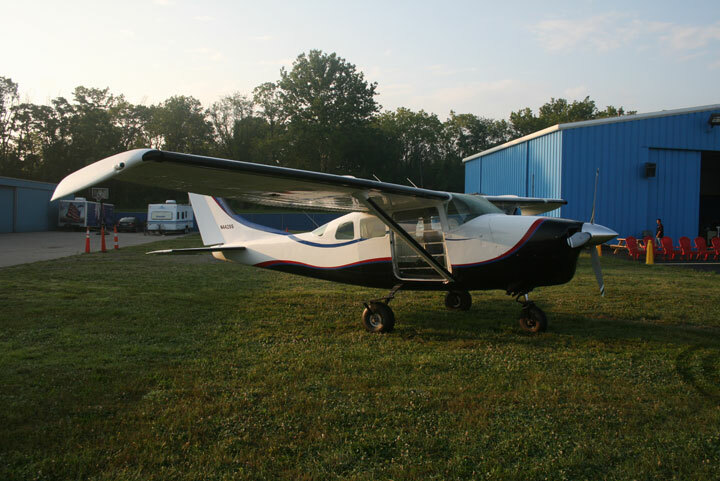 This skydiving aircraft has the ability to carry 5 demonstrators to 10,000′. Freedom has flown over the multiple NASCAR, NFL and MLB events and is commonly used on demonstrations requiring less than six demonstrators. 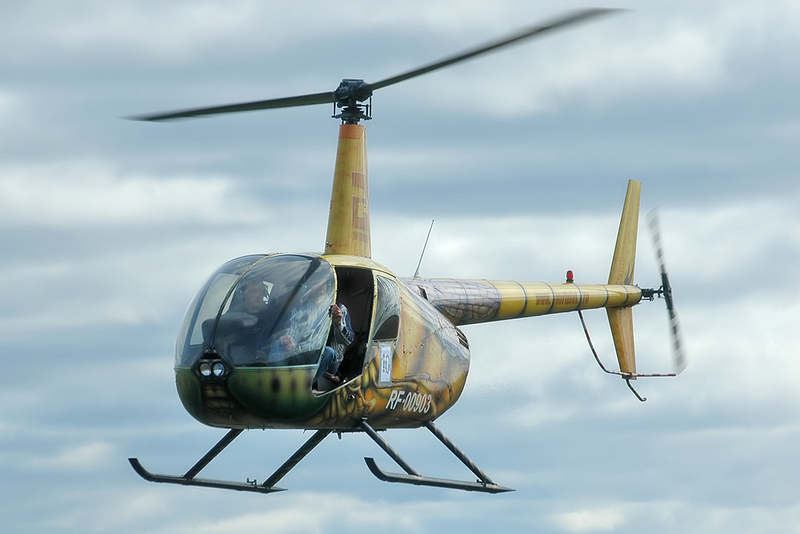 We have two R44 helicopters that the team uses for demonstrations that only require two demonstrators. The helicopter is very efficient and adds a unique element to a performance.